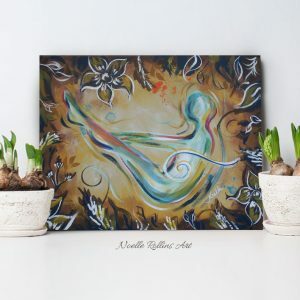 Purposeful Peaceful Powerful – prayer pose artwork from the Soulful Yoga collection by Noelle Rollins Art. Wall art print. 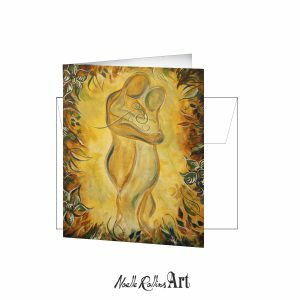 Full of oranges, reds, purples and golds this print is all about passion and standing in our truth as soulful people making things happen. 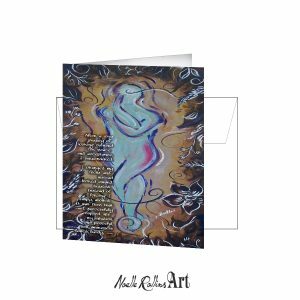 This piece is part of my Soulful Yoga Series. This series has been created out of my own journey to live more self aware. I’ve longed for a way to quiet my always running mind, feel good in my body from the inside out and connect with my inner soulful awareness. I believe this series will connect with people who do yoga. 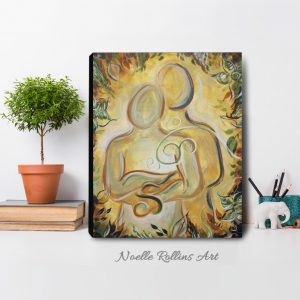 As well as connect to those who are looking for positive, encouraging, calming artwork. Find out more about the Soulful Yoga series visit here.